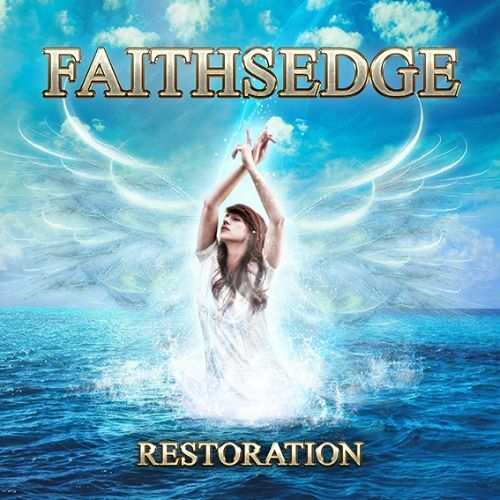 “Restoration” is the third album from Californian based band Faithsedge and it was released on 24th June through Scarlet Records. The band is fronted by Giancarlo Floridia who I posted an interview with in September 2014 after the release of the previous album “The Answer of Insanity” (http://www.rockradioni.co.uk/interviews/1666-ni-rocks-interview-with-giancarlo-floridia-from-faithsedge.html ). I played the track “Never A Day” on the Friday NI Rocks Show on 10th June. There have been a couple of line-up changes since the last album. Former Dokken guitarist Alex De Rosso remains; along with Floridia on vocals of course. Stryper bass player Tim Gaines replaces Fabrizio Grossi, whilst drummer Tony Morra has been replaced by Matt Starr who has worked with Ace Frehley, Mr Big, Burning Rain etc. Alessandro Del Vecchio (who has worked on numerous Frontiers Records albums) produced the album and provides keyboards on the tracks. There are 10 tracks on the album. My favourites would include “Never A Day”, “You Cannot Give Up”, “Faith and Chris”, “Her Way Back” and “Taking Our Lives”. The simple idea behind “NI Rocks Recommends” is to acknowledge and promote some of the great music being submitted to Rock Radio NI. I'll not be giving marks or ratings or analyzing the tracks in great detail; just telling you something about the artist and the album. It’s a personal recommendation to go check something out, not a traditional “review”! My musical tastes cover most things rock; from the not too melodic to the not too heavy. The albums that I’ll be recommending are those that you’ll hear me playing tracks from on my shows on Rock Radio NI.